Jeff Tweedy has long been dismissive of anyone who bestows upon Wilco – the band he’s fronted for 20 years – the classification of “Dad-Rock.” You can hardly blame him; nobody goes into rock and roll with an endgame of making low-key sounds for suburban commuters or mowing the lawn on weekends. And yet, there’s an approachability and warmth to Wilco’s music that renders it not merely impressive on a sonic level, but actually sort of comforting – in the same way you might take comfort in an after-work bourbon, for instance. 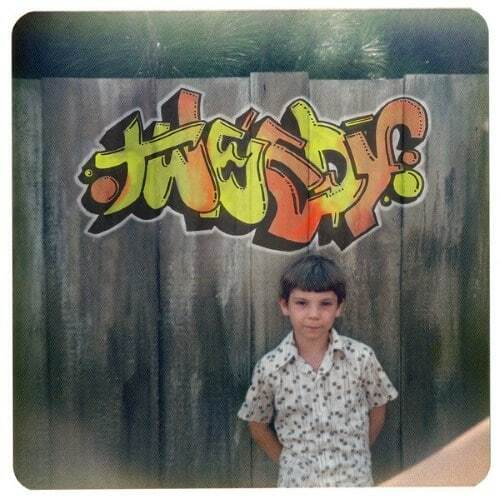 After all this time, however, Tweedy seems to have owned up to being “Dad-rock” by taking it to its literal extreme. His new project, simply called Tweedy, is in fact a collaboration with his 18-year-old son Spencer, who plays drums on all 20 tracks on their debut album, Sukierae. And for the most part, it’s just the two of them; The Minus Five’s Scott McCaughey and Lucis’ Jess Wolfe and Holly Laessig make appearances, but this is a Tweedy family affair at heart, and they make the most out of their stripped-down approach. On Sukierae, Tweedy and son go for a less-is-more approach to recording, leaving a comfortable amount of space in each track rather than choking them with overproduction. It’s surprisingly refreshing; a song like “Diamond Light p. 1” seems like it could be building toward a hefty climax – and kind of does – but Tweedy is content to let its gentle, lightly psychedelic melody float along and reveal its beauty slowly. But there’s a lot to like in the more urgent tracks, like the dazzling and Zeppelin-esque “World Away,” or “Low Key,” which would seem at home on any of the last few Wilco records. There are a lot of songs here, and it overwhelms in one sitting, but even in small pieces, it’s clear that Tweedy takes home the songwriting ribbon at the father-son picnic.